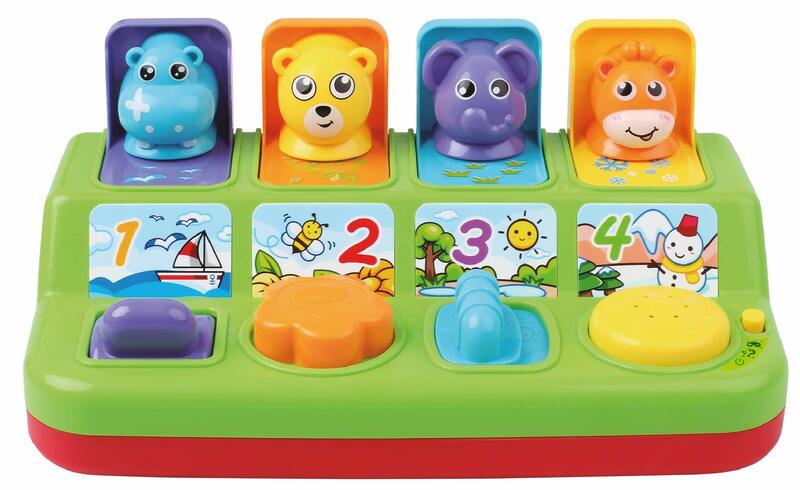 Part of Think Gizmos Awesome Todler Toy Development Series the Interactive Pop-Up Animals Toy is the perfect beginner toy for children learning about buttons and pushing/pulling. 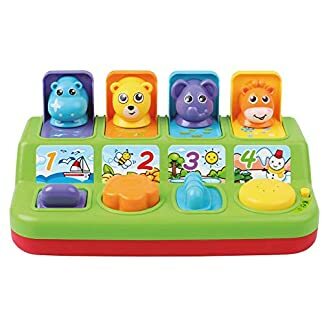 This Interactive Pop-Up Animals toy encourages your child’s desire to learn and discover, helping them learn about cause and effect and develop fine motor skills. Fuel your child’s imagination with one of the best interactive toys for toddlers you can buy…. This fun Interactive Pop-Up Animals toy will keep curious minds engaged time after time. Each of the parts has been made to make this toy a perfect fit for small hands. The cool Interactive Pop-Up Animals toy includes two different play modes. Animal Sound/Music Mode which plays and the relevant animal sound and some music when the animal pops up and a Game/Music Mode where you follow he lights and pup up the correct animal. This pop up toddler toy provides hours of entertainment that will also improve any child’s concentration and fine hand skills. It’s also manufactured to the highest safety standards and is made from non-toxic recyclable ASB plastic. 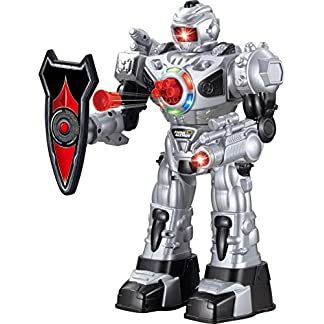 The perfect choice if you are looking for a toy as a Christmas gift or Birthday present for any small boy or girl aged 1 2 3 4+ (6 months and up). It comes packaged in a box with user manuals in the following languages; English, Spanish, German, French and Italian. This fun Interactive Pop-Up Animals is recommended for children aged over 12 months and is a ‘ThinkGizmos’ branded product. This superb toy comes with everything required in the box (including batteries), making it the perfect gift for any boy or girl. They can just open the box and let the fun begin.